Emory College’s strategic priorities focus on leading the liberal arts and sciences through discovering knowledge, creating new works and pursuing paradigm-shifting research. VIDEO: Dean Michael Elliott discusses Emory College's strategic priorities. 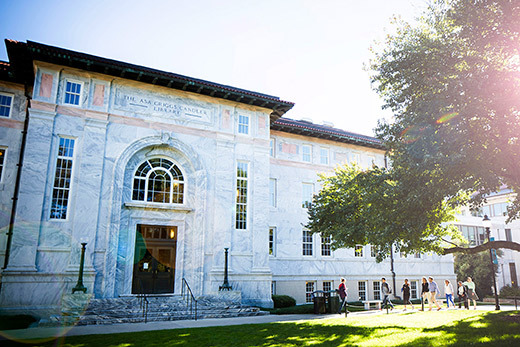 Emory College of Arts and Sciences has launched an ambitious set of strategic priorities set to advance the College as a leader for the liberal arts and sciences, both within the university and beyond. “Anytime there is a conversation in our society about the impact and value of the liberal arts, Emory should be in the heart of it, to be a model institution people will follow,” says Michael A. Elliott, dean of Emory College. To that end, the College’s set of strategic priorities, “Leading the Liberal Arts and Sciences,” brings a renewed focus on the discovery of knowledge, the creation of new works and the pursuit of paradigm-shifting research with broad impact. Of particular focus, and in close alliance with the university, is more investment in building faculty excellence and providing an exceptional student experience — and amplifying the impact of both. The priorities also identify three new research initiatives that build on Emory College's existing strengths: research and post-doc training in the natural sciences; race, social justice and resilience; and the creative arts and new works. All have high potential to address some of today’s most pressing issues while also raising Emory’s profile. The College’s work will tie in closely with the university’s strategic plan, which is expected to launch in fall 2018. Emory College faculty and administrators worked collaboratively over the past two years to develop the comprehensive set of strategic priorities. The full proposal was endorsed by the College Faculty Senate in December 2017 and approved by Provost Dwight A. McBride in January 2018.